Wherein my Clear TWSBI Diamond 580 (0.4mm CI) is paired with Noodler's 54th Massachusetts. On April 25, 2018 my Clear TWSBI Diamond 580 (0.4mm CI) joined its comrades when it was filled with Noodler's 54th Massachusetts. The pen was in use for about 9 months and was emptied and cleaned on January 21, 2019 , saying good-bye to its fellows. This combination has returned! I haven’t used this combination since August of 2015, and at the time that I cleaned the pen I predicted I would return to enjoy this combination again. 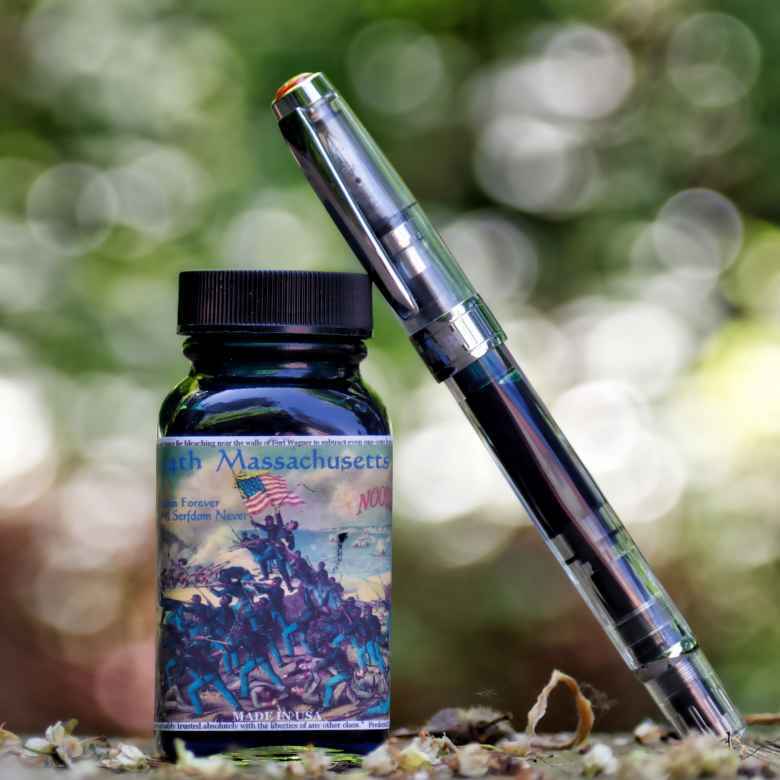 While I have quite a variety of choices these days, I’ve missed 54th Massachusetts and I’ve missed this particular nib. I anticipate using this for journalling. For the past few months the pen has been burping and I can no longer contend with it. There’s still a bit of ink left in it, and it could be a simple as heat from my hand expanding the air pocket in the pen. I’ve never had that happen on my other 580s, so I’ll do an inspection of the nib unit.